Zytech Solar off-grid systems are the ideal solution for obtaining a reliable electricity supply when grid connection is not possible. This type of installation provides an electricity supply in any location, whether on boats, at remote radio stations, in rural locations or high mountain areas… They consist of simple installations with very low maintenance requirements and need nothing more than a few hours of sunlight. Zytech manufactures a wide range of photovoltaic modules from 3 to 300 Wp (using monocrystalline and polycrystalline silicon) which are certified and tested by the most exacting laboratories. Charge controllers. The main functions of the controller are protecting the battery from overcharging and over-discharging, preventing current flow from the batteries to the modules and prolonging battery life. As an official Phocos product distributer, Zytech can provide its customers with a wide range of controllers. Batteries. The battery bank takes care of storing the energy produced by the photovoltaic modules during the day for later use. It is a fundamental part of the installation which must be sized in accordance with the number of days of system autonomy and the voltage level. Zytech distributes the highest quality batteries manufactured by Exide, Ecosafe and Deka. Inverters. These are basically DC/AC signal converters which transform direct current (DC) stored in the batteries so it can be used by alternating current (AC) applications. An inverter is not required if the devices to be supplied run off DC. As part of its solutions, Zytech offers highly reputable Studer Innotec and Victron inverters. Solar pumps. These devices are widely used to pump water. Zytech can supply the best pumps on the market (Grundfos and Lorentz). 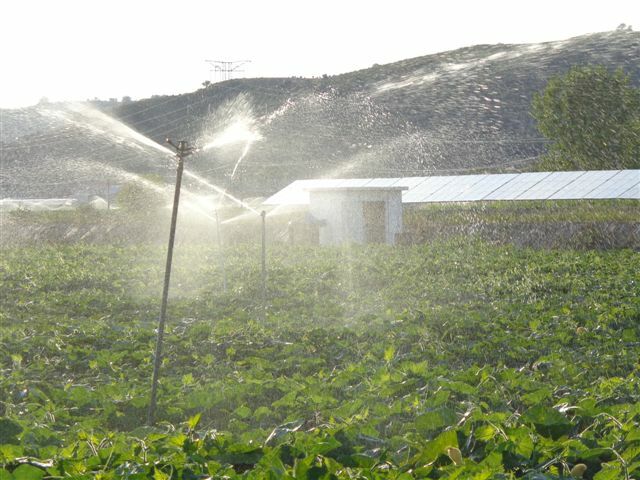 Zytech offers two types of system: conventional off-grid systems and solar pumping systems. In both cases, Zytech offers sizing services via calculation tools so that energy requirements are covered effectively without compromising on efficiency. 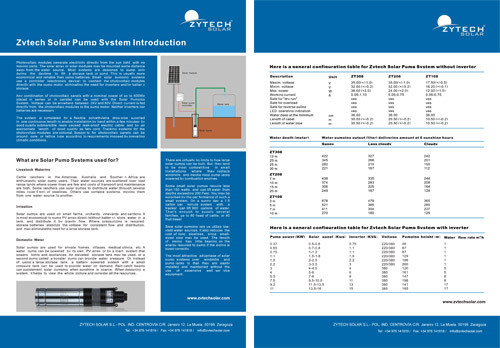 Zytech water pumping systems are a clean and simple alternative.